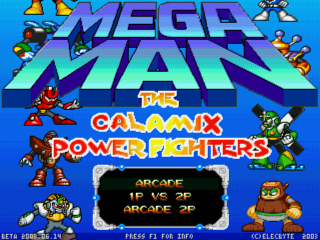 The Mugen Fighters Guild - Mega Man: The Calamix Power Fighters unmoleboxed by Basara-kun!! 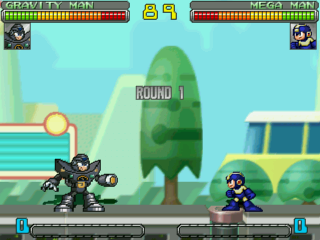 Mega Man: The Calamix Power Fighters unmoleboxed by Basara-kun!! I tested DE-MOLE-ITION on this fullgame thinking this won't work on it, but it did. And I checked them and all files work on normal MUGEN: characters (selectable and secret), stages and even the screenpack and music, so I unmoleboxed all the content and made separate downloads to everyone can use them. All the content is untouched but tested on my normal MUGEN and it works without problems. Because of the release date (2007 aprox), this fullgame was made under WinMugen, but I think it's also compatible with MUGEN 1.0+, it's up to you to test there. This was a so huge discover that I'd to make its own website apart of mine. 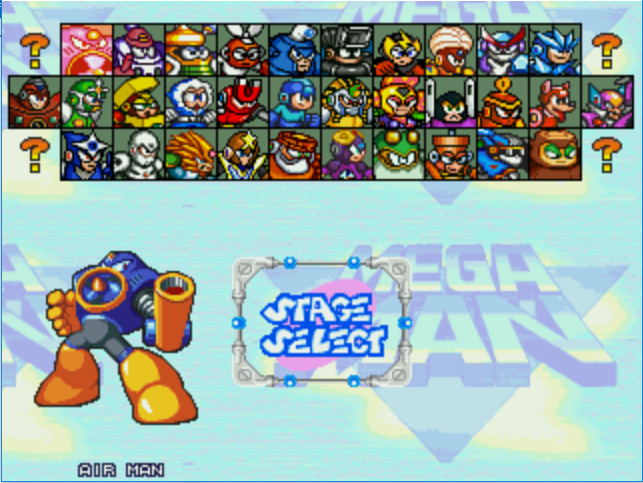 Re: Mega Man: The Calamix Power Fighters unmoleboxed by Basara-kun!! 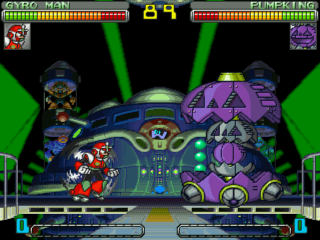 Too bad this isn't the V4 version of the game as Calamix never released it before his departing to M.U.G.E.N permanently. You would've gotten more of the unmoleboxed content as it had more characters, stages and updated versions of the previous characters if he did. But still, can't complain too much as some of the characters on V2 were never released officially. So thanks for doing this. This is a game I always wanted to continue. I've sent him a lot of messages and never had a single reply. If he was still here, he'd be mad about it. But since he's gone, I do not see much of a problem. 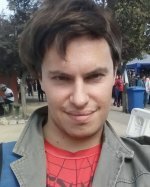 Honestly (and I know that is not the subject of the topic) I always found using Molebox in Mugen, with ripped content of roms, a tremendous hypocrisy. Except when you just want to pack everything into a single executable to look more like a "business game" than Mugen, thanks to some people's rejection of Mugen (as I did with one of my projects). Man, looking back from a shadow perspective (lurking at the time), we were mad to think about moleboxing stuff with that kind of mentality. It's silly nowadays and i'm glad too that the community (for the most part) changed for the better. This was a game that I always wanted to continue making. I have the Version of this game that O Ilu posted in the screen shot above. The version of the game I have is a very late V3 version of the game. 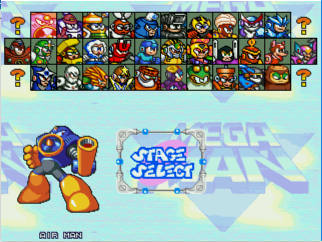 It contains extra modes many extra select able characters, hidden characters, stages, and fixes. I am the only person that has this. The game is moleboxed. 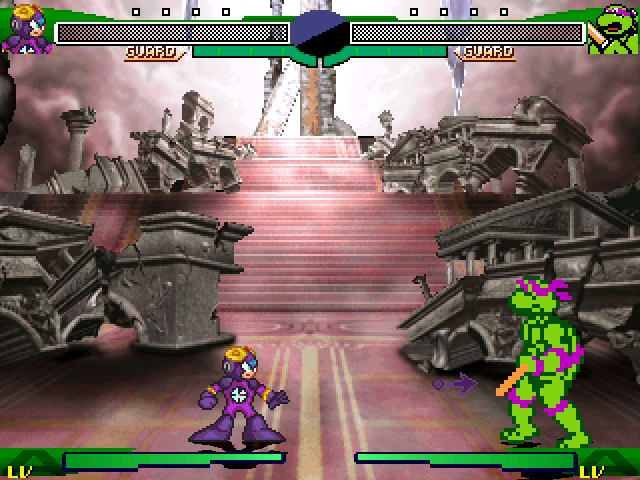 This is a version that was never released that was ready before Calamix left the Mugen scene. I haven't spoken to Calamix since he left the Mugen scene and he will not speak with anyone from the Mugen scene. I was helping him with this game at the end, which is why I have this version. I also sprited Roll for the game. I did have another un released version of the game which was after this version. It had my Roll added and a few other characters like Bubbleman added, but I think it is lost to time because I can't find it. 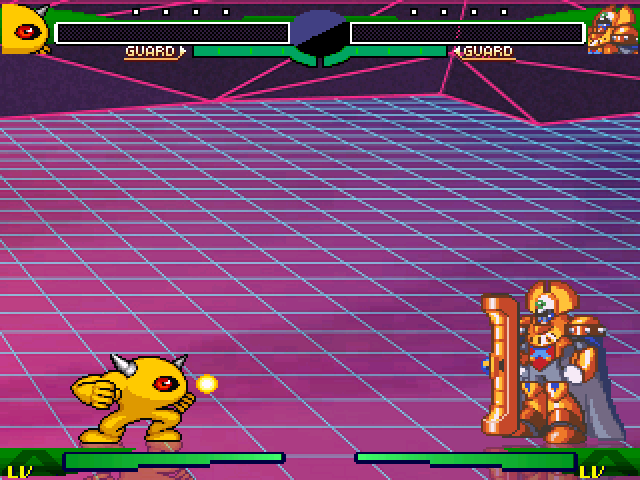 However Calmix did code and share the Roll I sprited with me. I finally released this Roll publicly in 2015 for the first time. Six or Seven years after completing her. Your welcome to host Roll with the other characters if you would like.